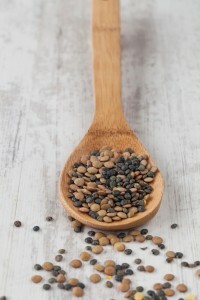 Cook Lentils according to package directions. Meanwhile chop up all vegetables. Make Vinaigrette by combining lemon juice, EVOO & mustard. Once lentils are done, add the vegetables and stir in the vinaigrette. Sprinkle in the sea salt. Place in refrigerator to cool until served. When ready to serve, add sliced avocado. When creating a healthy lunch for yourself or your child, ask yourself: “What am I getting from this meal?” Too often we may fill up on foods that are lacking quality nutrients. Creating meals that are well balanced and nutrient rich aren’t always easy. 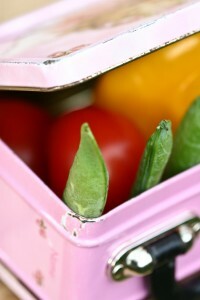 Here are a few kid friendly and adult pleasing ideas to help inspire your lunchbox. Black Bean Quesadilla with Tomato, Avocado & Corn salad: Make a quesadilla out of black beans, black bean dip or refried black beans. Black beans are a high protein, high fiber and nutrient rich food that is flavorful and can be easily tucked into just about anything. 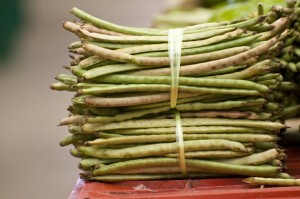 Pairing this tasty bean with a refreshing tomato salad dressed with lemon, Extra Virgin Olive Oil and a sprinkle of sea salt will delight any appetite. Hard Boiled Egg with Snow Peas, Carrot Sticks and Tzatiki sauce: Eggs are an excellent source of protein. They are super easy to make and can be sliced over a piece of whole wheat bread, mashed into a salad or eaten whole. I love pairing eggs with Dill, I find the herb to bring a refreshing boost of flavor. Roasted Chicken and Wheat berry salad with Pesto Dip and Crunchy Apple Wedges: Try roasting up a chicken and sparing some extra for lunch. Chopping it up and mixing it into a small serving of a grain like a chewy wheat berry will bulk up the fiber content of this meal. Swirl in some flavorful pesto and pair with some crispy fall apples for a nutrient rich meal sure to keep you satiated for a busy afternoon. The most important thing to keep in mind when creating your meals is to be sure that you have a veg heavy, protein and fiber rich meal. Below I have listed a few proteins to help you establish a base to build your meal around. I’m often asked about my opinion on vitamins. “Should I take them?” and “Which ones do you recommend?” Both very valid questions which absolutely need addressing. Generally, I am not a fan of vitamin supplements. If you are healthy and consume a healthy diet rich in vibrant vegetables, fruit and whole grains then for the most part, you should be able to get what you need from a balanced, nutrient rich diet. With a healthy digestive system you will also absorb the nutrients you need and properly eliminate those you don’t. That being said, not all of us eat this nutritiously, nor do we all absorb nutrients like sponges. Supplements come in so many different forms and some are loaded with additional ingredients. I am of the firm opinion that it is very important to know what you are putting into your body. If labeled as a dietary supplement, it will contain a manufacturers label which will list the active ingredients along with any other added ingredients such as fillers, binders and flavoring agents. Supplements are created to have an intended function on our body, and some have been proven to be beneficial for individuals that need help managing health conditions or those that need an added boost in their diet. However, some supplements can interfere with the effectiveness of a medication that you may be prescribed. This is why it is so important to inform your physician of every supplement that you are taking. Unlike prescription drugs, which require FDA approval, supplements are not required to have premarket review or approval. While manufacturers are required to have proof that their products are safe, labels are not misleading, and listed ingredients can be trusted; they do not need to provide this information when their product is marketed. IF the FDA finds the product to be unsafe, they may then take action. There have been several news alerts regarding the concern of the actual amount of active ingredient listed in vitamin supplements from some manufacturers, as well as the types of fillers used. All this being said, if you find that you are in need of a good quality vitamin supplement, I recommend a brand that has been trusted by health professionals for years. Metagenics offers high quality vitamins that are formulated based on scientific evidence to enhance absorption. I also think Pro-thera is a phenominal brand (I love their Pro-biotic formula, There-biotic Complete). You can now purchase Metagenics through me directly by visiting my online store. Kale is one of my absolute favorite greens. In season now, this super food is delicious when it is enjoyed raw or quickly cooked. 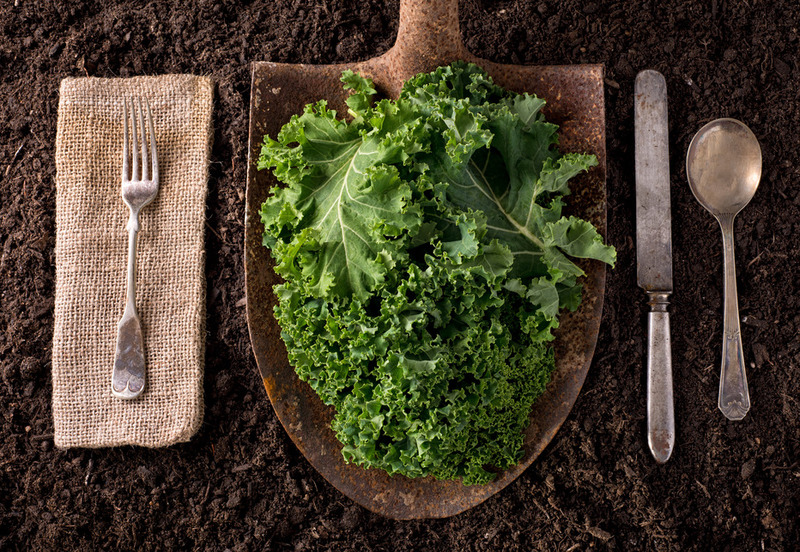 Kale has an amazing nutritional profile. It is an excellent source of vitamins A, C, E as well as calcium, iron, potassium and manganese- a mineral required in trace amounts but plays an important role in metabolism, bone development and antioxidant function. Speaking of antioxidant function, this super veggie is uniquely high in its concentration of carotenoids and flavonoids, two antioxidants that are key in protecting our body from oxidative stress. When our body is subjected to prolonged states of oxidation, it puts us at risk of developing chronic disease. Pair up with this green giant on a regular basis to help you fend off those nasty free radicals. Wash Kale and remove the hard rib, chop and toss into a bowl. Add the olive oil and salt and massage with your hands. Peel and grate the beet into the salad, add in the beans. Place pumpkin seeds into the toaster oven at 350° for about 5-7 minutes, you will start to hear the seeds popping. Add in the lemon juice and voila, you have a fiber packed, nutrient rich meal. Welcome Spring! I a m so happy that you are here. You have graced us with sunshine to boost our vitamin D levels. Speaking of the sunshine vitamin, did you know that a little dose of daily sunshine goes a long way? Most people will meet at least some of their vitamin D needs through sunshine alone. Of course there are factors that affect UV radiation exposure and vitamin D synthesis: season, time of day, length of day, cloud cover, smog, skin melanin content, and sunscreen. 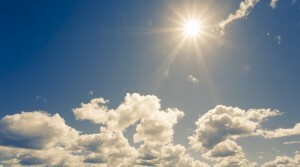 It may be helpful to know that cloud cover will reduce UV energy by 50%, shade will reduce UV exposure by 60% and sunscreens with an SPF will block vitamin D producing rays on the areas to which the sunscreen is applied. Some research has suggested that 5-30 minutes of sun exposure at least twice per week between the hours of 10-3pm sans the sunscreen to your arms, face, legs or back can provide adequate UV rays for vitamin D synthesis. But what about food? Interestingly, vitamin D occurs naturally in very few food sources. Some of these sources include: egg yolks (yet one more reason to STOP tossing the golden nugget), sockeye salmon, cod liver oil, cheese, sardines and mushrooms. Mushrooms? How random. That’s right, growers are working on ways to enhance the amount of vitamin D this little fungi will produce by exposing them to more UV rays…. cool. You may be wondering, how much Vitamin D do I need? The current Recommended Daily Allowance, or RDA is the same for men and women from age 1 all the way up to age 70- 600 IU per day. Once you hit 71 years old, it boosts up to 800 IU. This increase is partially due to the fact that as we age, our skin isn’t as efficient at synthesizing vitamin D. It’s always a good idea to have your vitamin D levels checked. The best form of vitamin D to have checked is D(25, OH)D, and you definitely want this level to be above 30ng/mL. If you are told that you are deficient, and especially if it’s the winter months, you may want to supplement with a high quality vitamin D supplement in the form of D2 or D3. My personal favorite can be found in my online Metagenics store. 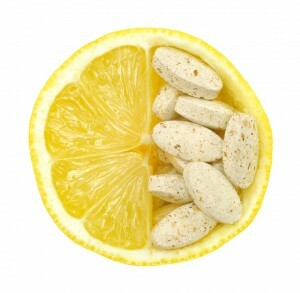 As always, be sure your doc is aware of any and ALL supplements that you are currently taking. Preheat oven to 450 degrees F. Snap off and discard woody bases from asparagus. Place asparagus, garlic and lemon zest in a 15x10x1-inch baking pan. Drizzle with oil and sprinkle with salt and pepper. Toss to coat. Roast for 8-10 minutes or until asparagus is crisp-tender, stirring once halfway through roasting. Serve immediately. I often have parents asking for easy, fun ideas for lunch boxes. With the first day of school just around the corner, I thought it would be a good idea to do an entry on back to school lunch ideas. Children have little bellies, it’s important that the foods that they eat be nutrient packed so they aren’t filling up on empty calories. Make each bite count by providing your child with a balanced mix of protein, healthy fat and fiber (carbohydrate). – Fruit makes a great treat! Dried fruit like figs, dates and apricots are sweet, nutritious and delicious. – Using stainless steel bento boxes that are all over the place these days. The little compartments help ensure that all nutrients have been accounted for. Use one compartment to first pack your protein and build the lunch from there. Older children might enjoy making their own sandwiches! For example, place the protein in one compartment, and the healthy fat or carb in another. This will also keep the bread from getting too moist. – Using cookie cutters to make sandwiches more fun! Stars, fish, hearts, triangles or circles make great little shapes for little hands. – Putting sides in muffin tins! These colorful little cups make great containers for the inside of a bento box without a divider. 1. Put the oatmeal in the blender and blend on high until the oatmeal turn into a fine powder. 3. Add the other ingredients and blend until smooth…. 4. Drink up and ENJOY! I strongly recommend purchasing a nut butter in its purest form. Nut butters offer many nutritional benefits including healthy fats, protein, iron and calcium (all very depending on the nut). Always read the ingredients on the back of the jar. Unfortunately many manufacturers add all kinds of ingredients to their products including High Fructose Corn Syrup, preservatives and a lot of salt. The ingredients on a jar of nut butter should only include: “Nut” (depending on the nut you have chosen). They may add salt if you have chosen one that is not unsalted. WIth most natural brands of peanut butter, you have to mix the oil and the nut butter, you will notice a separation otherwise. This is completely normal and only adds to the creaminess. The pouches come in 2.25oz servings and quite the variety of flavors! Chillin Cherry: Cultured Pasteurized Organic Reduced Fat Milk, Naturally Milled Organic Sugar, Organic Tapioca Starch, Organic Cherry Juice From Concentrate, Natural Flavor Organic Carob Bean Gum, Pectin, Carrageenan, Organic Beet Juice Concentrate (For Color), Vitamin D3, Contains Our Exclusive Blend Of Six Live Active Cultures Including L Acidophilus, Bifidus, L Casei And L Rhamnosus. .
Of the 2, I would definitely consider the Stonyfield Farms the healthier one. 2. Add all ingredients to the blender and blend until smooth. 3. Pour into a measuring cup- should be about 2 1/2 cups. 4. Put tops on re-usable pouches (I forgot to do this at first, whoops!) and pour the mixture into the pouches. Seal the bottom of the pouches. Store in the fridge and provide as a healthy snack. So for only $0.11 more per ounce, you can really increase your nutritional benefits. ** WIth this recipe, you could easily omit the honey and chia, I just added those for added flavor and nutritional benefit. Although the honey will increase the sugar content, it is a natural sweetener with nutritional benefits. Honey has been known to be a natural anti-biotic and has powerful anti-oxidants. It also contains in small quantities: Manganese, iron, B2 and B6. I’ll have to talk about how amazing honey is in another post… stay tuned. However, if you are making this for a kiddo under the age of 1, PLEASE DO NOT ADD HONEY!!! So, you can understand the distribution of ingredients and you know exactly what each one is listed by weight with brief description of added nutritional benefits we have: Plain Yogurt with live active cultures (probiotic, calcium), Berries (Fiber, antioxidants, Vitamin C), Honey (mentioned above), Chia (Omega 3 fatty acid, fiber), oatmeal if you used (fiber and acts as a thickener). Another HUGE plus to the “Squooshies” is that they are re-usable, so you can be “green” =), be sure to hang on to the caps and seal the bottom of the pouch after you’ve poured the mixture in! !